If you’ve been observing, properly, you will have noticed that Chloe+Isabel, the New York City-based fashion jewelry company that I represent, has a logo consisting of two birds on a tree (I tend to think of that description as a British double-entendre for two females)– the yellow represents a whimsy, trendy Chloe personality type versus a best friend with an alter-ego like Isabel– classic and understated. Well, we team members of C+I flock together, when it comes to incorporating clever themes that conjure up the spirit of all things ornithic. My new, ridiculously fabulous find, however, just takes that tradition over-the-top! 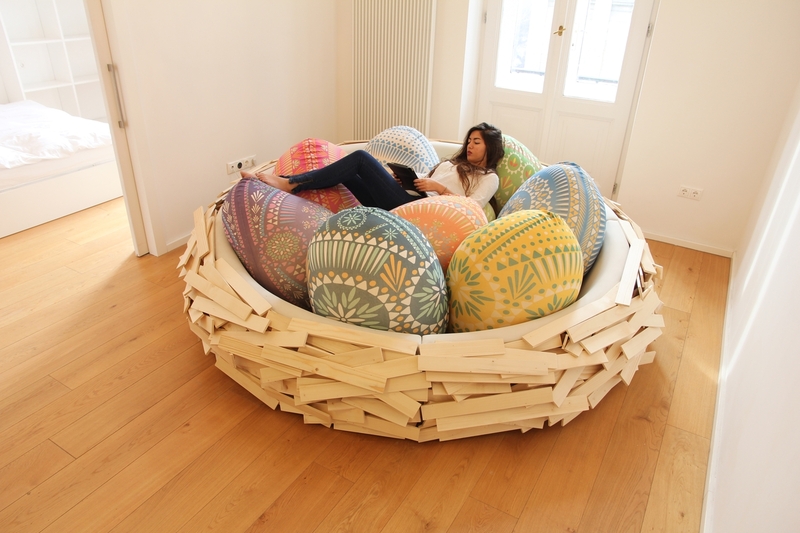 I introduce you to The OGE Creative Group’s brainchild… the Giant Birdsnest. 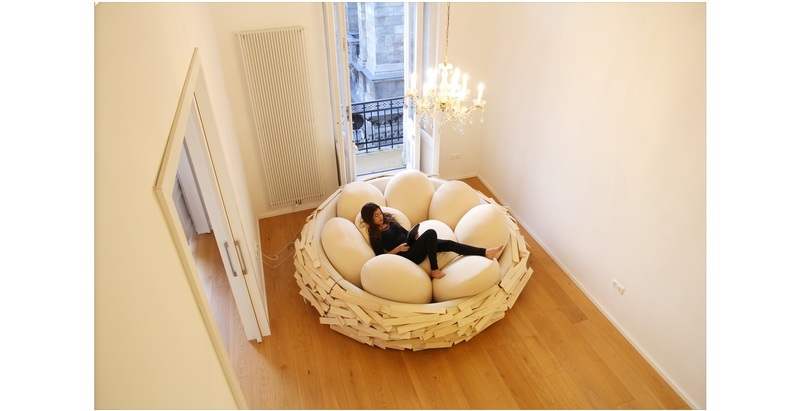 Nests are made-to-order and come in a range of colors, along with sizes that start from accommodating two to three people up to 16 feathered friends, at once. How perfect would this be for an in-house Chloe+Isabel Pop-Up Shop Party!!!? Would you take a crack at those fluffy eggs (pun intended)? 😉 I’d love to see! Just contact me at shop@geishaglamour.com to arrange for an in-person party with me or even an online/ catalog gathering with lots of pictures of your friends and family nesting on this luxurious furniture! My heart is fluttering at the thought!